I feel like I get all "itchy" if I don't write a blog post every day. The world won't come to an end if I don't post. CLEARLY. It's just a busy week. I went to OKC all day yesterday with some friends to be at my friend Rachel's nephew's funeral. It was a sad day. Anytime a child dies - it's so hard to understand or bear. But it was such an uplifting service. Xander was an extraordinary boy who loved Jesus with all of his heart and knew he was going to heaven and was happy about that. He did more in his 11 years to point people to Jesus than most people do in 91 years. The world would be a completely different place if there were a lot more Xanders around. 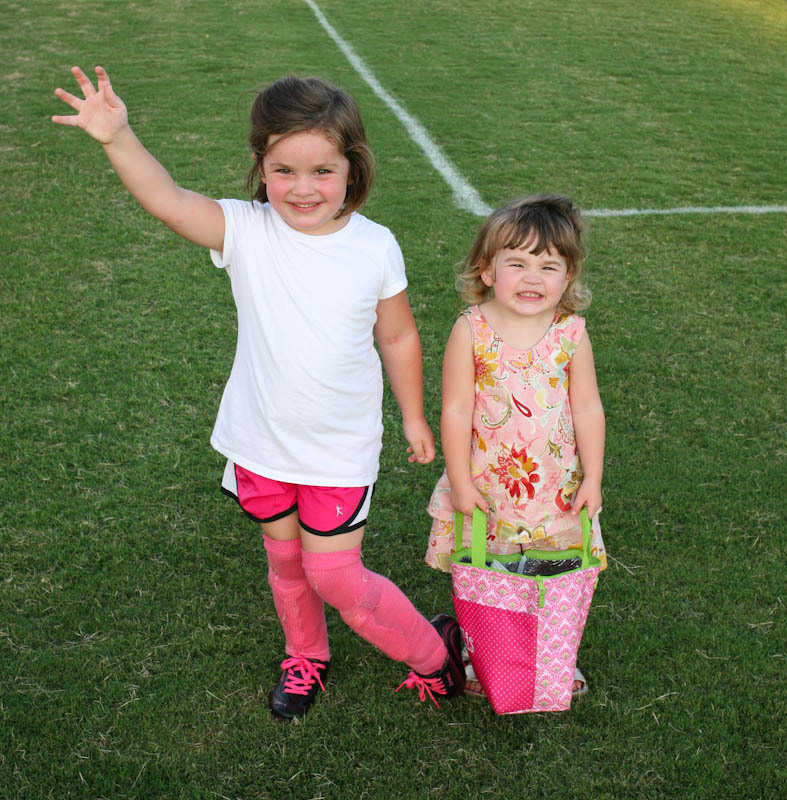 Meanwhile Scott kept the girls and took Harper to her first soccer practice. A think a star has been born. She loved it. Today I had a women's ministry meeting at church all morning and then we had to go to the hospital for a pre-op appointment. Harper is having her tonsils and adenoids out tomorrow. It's a minor surgery but it's MAJOR to me and Scott. I know it will be SO worth it in about two weeks once her recovery is over but I hate putting her through it. I wouldn't be sad if you would pray for her. So I will be taking care of her for the next week or so. I won't mind the snuggles.